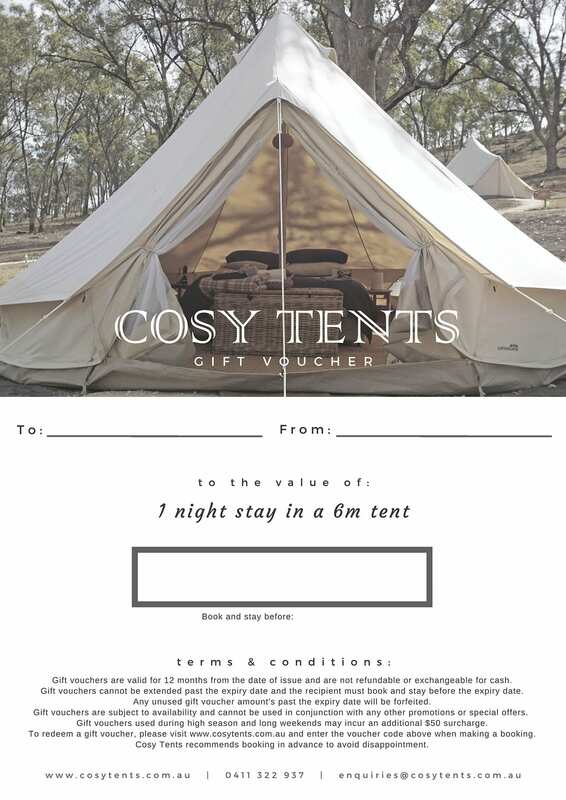 This gift voucher is for a one night stay in our 6m Bell Tent. Note: Gift vouchers are valid for 12 months and are not refundable or exchangeable for cash. Gift vouchers cannot be extended past the expiry date and the recipient must book and stay before the gift voucher expires. Surcharges may apply during high season such as long weekends and public holidays.